Which software test automation tools will work best for your team’s unique needs? Find out the most important evaluation criteria to consider, along with a sample RFP template that includes the key questions every team should ask. Can produce multiple deploys per day. Need less than one hour of lead time for changes (between code commit and code deploy). Have a change failure rate of 0–15%. 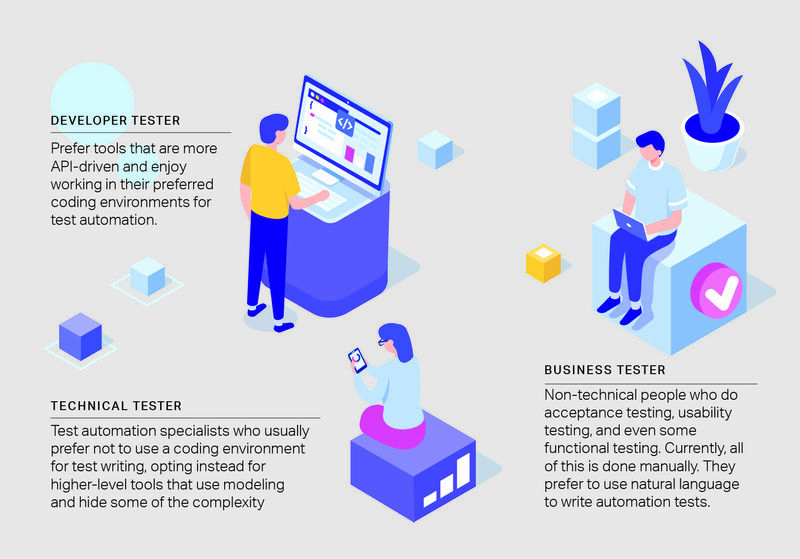 Get the facts on the latest test automation technology developments and what to look for when deciding on a test automation tool for your team. Download the Buyer’s Guide to Software Test Automation Tools report today.